HR 62 was constructed from 1997 - 2011, and a total of 25 boats were built. 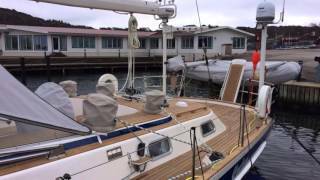 Yaghan and the big refit at Hallberg-Rassy. You are very welcome to discuss the HR 62 below, and share your experiences with the rest of HR-Club. Please register at Disqus – is done very quick and easy! !